From invisible PA… Tycoon Cam Hillier requires a suitably attractive young lady to grace his arm at this season's fundraising party, but time is running out. 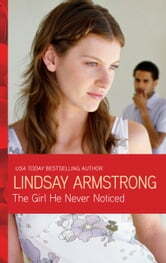 So Cam must turn his attention to the woman right under his nose–his dowdy PA, Liz Montrose. To belle of the ball! 'Personal duties' were not in Liz's job description–but, with her little daughter to clothe and feed, she knows she must go above and beyond. But there will be no sensible suits or thick-rimmed glasses to hide behind tonight! Cam's never noticed her before…but all that's about to change!